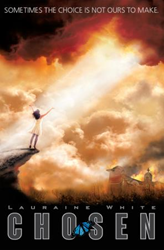 Within the pages of Lauraine E. White’s new book, Chosen, ($14.99, paperback, 9781498462495) readers will see how God uses the author’s own family story of reconciliation to provide an “eye witness” account of a human struggle to fight for family to tell His Story – foretelling what He plans to do. The story demonstrates that what He has done for her family, He has promised – and He WILL do for those who are called by His Name. Just as she had to choose to forgive, each person must choose HIS way – to turn from our way, to forgive our actions and turn to HIM. When one chooses HIM, the cycle of reconciliation will begin. September 11, 2001 was not only pivotal for our Nation, but for Lauraine White’s family as well. It marked the beginning of the 12-year unfolding of this moving story of love and reconciliation – a God-fulfilling prophecy – life changing for Lauraine E. White. Lauraine E. White is the former Pastor of the BOLD Church, ordained Prophetess by the late Bishop Milton Perry of 21st Century W.W.B.D.C.C., Inc. She grew up attending the Church of Christ, where there was no instrumental music and where women did not play ANY role in ministry. But God, in His infinite wisdom, ordered Lauraine’s steps, drawing her closer to HIM so that she understands that God created all instruments for His pleasure and that He can use a woman to minister to His People. As her book reveals, it was definitely God’s plan to prepare Lauraine through her unique experiences as an entrepreneur, running a successful Mortgage Company; as a battered wife – one who faced death 3 times at the hand of her ex-husband; as one who faced poverty and being ostracized and rejected by those that she thought loved her the most in order to deliver an extraordinary message – that God wants to be reconciled to His Children. Her story is powerful, inspiring and motivational. Xulon Press, a division of Salem Media Group, is the world’s largest Christian self-publisher, with more than 15,000 titles published to date. Retailers may order Chosen through Ingram Book Company and/or Spring Arbor Book Distributors. The book is available online through xulonpress.com/bookstore, amazon.com, and barnesandnoble.com.